For the third time in a row, Arvind Limited, leading fashion and lifestyle company, bagged the top rank award in energy conservation and efficiency during the National Energy Conservation Awards 2016 organised by the bureau of energy efficiency (BEE), Union ministry of power. The ceremony was held on December 14, India’s National Energy Conservation Day. The Top Rank Award recognises an industrial unit that wins the first prize for three consecutive years, and Arvind is the only textile conglomerate to reach the milestone. Competing against 43 players, Arvind clinched the first position by displaying consistent efforts towards energy conservation at its Santej plant in Ahmedabad, Gujarat. As compared to financial year 2015-16, Arvind was able to further reduce specific consumption in thermal energy by nearly 12 per cent, besides achieving 12 per cent reduction in specific electrical energy consumption. Arvind has also installed 1.30 MW roof-top solar power generation at the Santej plant – the largest of its kind in the Indian textiles industry. “At Arvind, improving our plant’s energy efficiency has always been a focus, and we continue to invest in new technologies for sustained energy conservation. This award means a lot to the team at Arvind and we appreciate Government of India’s recognition of our plant as the most energy efficient textile unit in India for the third consecutive year,” said Susheel Kaul, CEO – lifestyle fabrics (shirting, khaki & knitwear) at Arvind. “We were able to achieve power and thermal savings through various innovations, new technologies, continuous monitoring and all our efforts have paid off. We introduced various initiatives in our plant to conserve energy, such as mechanical vapour recompression for evaporation, polymeric multi-effect evaporation, efficient pumps, artic master on chillers, LEDs, use of renewable energy, such as day-light sheets and natural exhaust and gravity ventilations in production halls,” said Harvinder Rathee, head engineering – lifestyle fabrics (shirting, khaki & knitwear). This entry was posted in Brands, Manufacturing and tagged Arvind Limited, Energy, energy conservation, energy efficiency, fibre2fashion, Gujrat, India, National Energy Conservation Awards, TopRankAward. Benita Singh: Founder and CEO of Le Souk, the first online global textiles marketplace. Le Souk is the first online textiles marketplace where designers can search, sample and source directly from leading mills and tanneries around the world. Our mission is to provide unparalleled transparency to designers and brands looking to build direct relationships with trusted suppliers. We started the platform to provide market access for suppliers who could not afford the high cost of attending trade shows. As the model began to prove itself, established suppliers, many of whom do attend trade shows, began to approach us to showcase their latest collections as well. Four years later, we’re hosting the online showrooms for suppliers in over 19 countries – from repurposed salmon leather from Iceland to vegetable dyed cotton from India. For us at Le Souk, it means bringing transparency to the sourcing supply chain. Too many designers don’t know where their materials come from, not because they don’t want to know, but because it’s simply impossible for them to trace where their fabric comes from. By working exclusively with textile mills and leather tanneries, we work only with suppliers who spin and weave (or tan) their materials. It needs to become more important, which is why we’re thrilled to be a part of the Collaboratory. Water usage is largely overlooked when it comes to fabric sourcing, and it needs to become top of mind for more designers. Through the fellowship, we want to inspire and challenge our suppliers to re-think their modes of production while at the same time, bringing those materials that use less water to the forefront of Le Souk in a way that educates designers. More knowledge on water impact from industry thought leaders will better position Le Souk to be an even greater resource for our 18,000+ active designers – both in terms of content but also in terms of materials that are water efficient. It’s our job to communicate the importance of this issue to designers, and by participating in the fellowship with both brands and companies that interface with brands, we look forward to coming up with creative ways to inspire the industry to take a hard look at how it uses water. My relationship with Levi’s® goes back to 2006 when the non-profit that I co-founded, Mercado Global, was fortunate enough to receive one of its first grants to advance its work with artisans in Guatemala from the Levi Strauss Foundation. Ten years later, it’s a thrill and honor to be collaborating with Levi Strauss & Co. again. In 1992, I spent time in Kashmir, India, designing Persian silk carpets and exploring manufacturing approaches. It was during this time, by the beautiful lakes around Srinagar, that I became aware of the environmental impact of the dyes and finishing processes used to make the carpets. As I had also seen industries destroy rivers where I grew up in Spain, at this point I decided to try to find alternatives for the chemical dyes being used. Naturally, I looked to the ancient traditions of natural dyes, for craftsmen and industries alike. I founded The Colours of Nature (TCoN) in Auroville, India. TCoN is a company exclusively dedicated to the use of eco-friendly natural dyes. Over the years we have been dyeing organic cotton yarns and fabrics, as well as making fabrics, including batik and shibori fabrics, and garments. Last year we started to dye cotton fiber, which is relevant as dyeing at this stage, before yarn- or fabric-making, can really help reduce water. For me, both go hand in hand, as the pollution of the industry also, in many cases, affects those who work in it, by polluting local aquifers. Whilst protecting the environment is the reason we are in business, we are also focused on improving conditions for workers. Exploitation of workers in the textile industry in developing countries can make it impossible for workers to lead dignified lives, in turn limiting their choices and power to create a sustainable future. So again, for us, social and environmental responsibilities go hand in hand. It is well known that good drinking water is becoming increasingly harder to come by in many countries and that many industries all over the world do not pay enough attention to the environmental impact of their activities. In 1993, working with dyers from a small village in India (Guledagudd), we recovered an ancient natural indigo dye fermentation process which was almost forgotten. This biological process works for many years using the same dyeing water. In fact, the natural indigo fermentation dyeing water currently in use at TCoN has been in use since 1993. We have a working prototype to up-scale this natural indigo fermentation process for industrial purposes at our premises. It’s a process that can be used by craftsmen or industries! Our aim is to share our learning with regard to natural dyes, and to learn from the other Collaboratory participants. This entry was posted in Brands, Conversations and tagged India, indigo, indigodye, LeSouk, Levi Strauss, Levi-Strauss&Co, Supply Chain, TCoN, TheColoursofNature, Water. Last year, handlooms witnessed a great revival both on and off ramps and became a major talking point in the Indian fashion industry. The government’s efforts to make Benarasi weaves the fabric of the year contributed to a growing consciousness too. Ecological practices have been steering the fashion industry towards a greener environment. And while one-off initiatives are a boost, there are some designers who are shaking things up at the very core by opting for the sustainable route right at the onset of their careers, tirelessly narrowing the gap between grassroots and glamour. Designers Mia Morikawa and Shani Himanshu of 11.11 / eleven eleven — the pret label of CellDSGN Pvt Ltd — have consolidated the roots of their brand in the luxury space with an organic method. 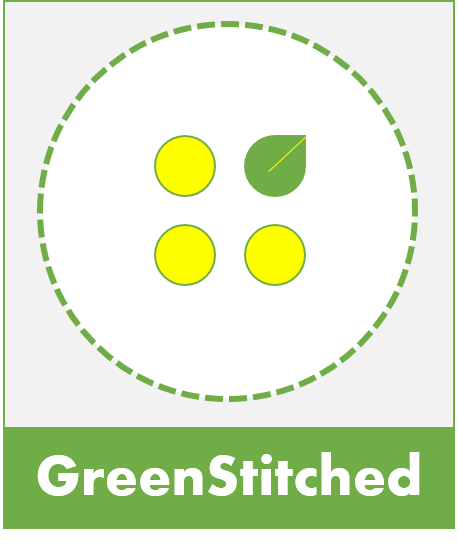 Their seed-to-stitch approach towards making garments generates human capital, with zero use of machinery and electricity, resulting in the lowest production of industrial waste. “Since the launch of our 100 per cent handmade line in 2013, we’ve been guided by desire to create consciously,” says Morikawa. The brand is now synonymous with khadi denims where the hand-spun denim is made from 100 per cent khadi cotton and is dyed in natural indigo. The kala cotton used is 100 per cent native organic cotton, the production of which is an environmentally conscious process and a viable alternative to agricultural practices that require irrigation and chemicals. This season, they have revisited bandhani, clamp-dyeing and block printing as embellishment techniques while continuing with their ever evolving signature hand-painted aesthetic. While Morikawa and Himanshu work together to add value to traditions, designer Rina Singh of Eka singlehandedly nurtures her brand by working with handloom clusters around West Bengal. “We have a long-standing relationship with the weavers and provide employment to almost all the families that work with us throughout the year. Supporting them adds sustainability to my business,” says Singh. She does not work with a whole lot of traditional textiles and weaves, but tries to modernise the methods and bring a new flavour to the looms. The fabrics she employs are natural yarns and blends of wool, silk, linen and khadi cotton. “I never buy off the rack, all the fabrics for any given season are worked on at the looms by us,” she adds. Anavila Misra of Anavila, applauded for her immaculate sari drapes just as much as for her saris, is all about fuss-free apparels. She uses fabrics like linen, organic cotton, cotton linen, silk and wool, and jamdani, khatwa, and hand-block prints. The up-and-coming designer Priyanka Ella Lorena Lama, of P.E.L.L.A, who recently showcased a capsule collection at the HUL Green Wardrobe Week with Lakmé Fashion Week, used indigenous pure eri, aka ahimsa silk, and its yarn waste, noil fibre. For her recent summer resort collection, Maitake, showcased at Lakmé Fashion Week, she also incorporated reclaimed wood work by budding artist Mayank Saini. “The wood is retrieved from packaging used for shipping containers, giving it a new life. It is not about reusing; it is about not creating any further waste,” says Lama. The exotic mixture of lightweight handwoven pure ahimsa silk, cashmere and pashmina is what she usually plays with each season. “Each thaan (fabric roll) is different and some have inherent impressions on the fabric. We consider them to be the impressions of beauty of the human weaving it,” she says. Not only the fabrics and techniques, but the NIFT graduate also incorporates zero-waste principles in pattern-making itself. “Every design includes minimum measurement and sewing but is painstakingly hand-rolled and hemmed, which is invisible to the naked eye. Each garment is made from a single block of fabric with no zippers or buttons for fastening, save for a sash which holds at the waist,” says the young designer. 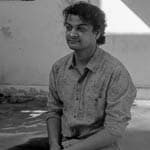 Craft revivalist and textile conservationist, designer Madhu Jain has been instrumental in introducing bamboo fibre, an alternative textile, in 2004. “Textiles made of bamboo yarn are ideally suited for hot Indian summers because of their breathability and anti-bacterial properties. They are naturally UV-protective and biodegradable. I don’t use factory-produced fabrics, though there are some great innovations out there. Each textile is rendered differently and has its own unique production technique. For instance, the Srikalahasti kalamkari that I specialise in uses organic raw materials such as indigo, iron rust, cow’s milk and katha (catechu). I have just experimented with it in a khadi version which has proved to be a highly successful line,” says the veteran. While high-street chains pour with fresh and affordable designs every week, with supplies exceeding demands, sustainable fashion faces many challenges. “The Indian handlooms sector is in desperate need of a boost. With markets leaning towards synthetic, man-made textiles, weavers are turning away from old traditions and migrating in search of jobs,” adds Jain, who is currently supporting 300 weavers. “When you make things with hands and add details manually, you add cost at every step,” says Misra. “We have to partner with retailers and other organisations that understand the what, why and how. Infinite patience and pure passion is necessary to take the slow route,” adds Morikawa. Singh too agrees that it is a slow process but the results boast longevity and she contends that her designs transcend age, race and cultural barriers. “The boutiques I work with across the world are wholehearted supporters of this fashion movement that we endorse. Also, these relationships are not fickle. The challenges in real time would be the weather conditions, the floods that stop the weavers from being back on the loom unexpectedly…the rains that hinder the process of beating the wood used to make the printing blocks…the harsh summers that make the yarns crisp, causing them to break at every odd warp. But we’ve learnt to overcome these setbacks. Sometimes I do feel that our signature style creates limitations for us in terms of our entire product portfolio. But then that’s that! Not everyone gets this language. We might have a less number of buyers who would like to invest in a piece of handmade clothing sans embellishment and frills, but with the growing ecological awareness, that number is growing too,” she says. When asked at which point in time the whole sustainable shift began in the country, Singh explains that the movement started when veteran designers such as Rajesh Pratap Singh, Abraham and Thakore, Ritu Kumar and Rohit Bal put sustainability of crafts at the forefront of their brand philosophies. “They worked extensively with artisans and craftspeople across India and with the best available natural textiles. The only difference between then and now is that no one used it in their marketing strategy. Today it has become a design language which for me is a more contemporary take on traditional textiles,” says the designer. As much as there is a shift towards all things bygone and indigenous, there’s also a change in the mood. Clothes have become a lot simpler in form, function and appearance. There’s a growing love for earthy, subtle hues as well as light and comfortable fabrics. The results of going natural have been refreshing as people are now more attracted towards ease and utility rather than trends. The connection between sustainable fashion, comfortable silhouettes and minimal adornment is getting stronger every season. “I prefer zero ornamentation because I feel that the textile that is so laboriously crafted is corrupted by adding five more elements to it. The whole idea is to bring attention to the painstakingly woven fabric, its feel and its fall. Heavy embellishments cannot be sewn on handmade materials and the functional aspect of the garment is maintained only by not machining the textile heavily,” says Singh. Ruchika Sachdeva of Bodice explains how minimalism is not the USP of all designers following the alternative stream, pointing out that Rajesh Pratap Singh and Amit Aggarwal are giving upcycled and responsible fashion a different aesthetic with ornamentation. “Maybe many indie designers are not aware that they can do organic clothing in a different way,” she says. Her own design philosophy screams simplicity but she appreciates every time someone redefines the traditions with an avant-garde idea. “I really love textiles from across the world but I realised that a lot of them are not really wearable. They are beautiful but they needed to be translated into something that is more covetable. So we used contemporary silhouettes for these traditional textiles, which are more relatable to the modern Indian woman,” adds Sachdeva. It comes as no surprise that organic materials and sustainable methods don’t just act as economic catalysts but also bring transparency in businesses and support the livelihoods of weavers, artisans and even farmers. “Cities are overpopulated, competition and overcrowding creates tension. Increasing the strength of rural economies makes a lot of sense to us on many levels,” says Morikawa. There is a wave of change in the Indian fashion industry, and the most impactful one the industry has seen in years. As awareness is gaining momentum, more and more designers are using India’s sartorial traditions to make their designs super covetable and cool. So be it Rahul Mishra’s Gandhian philosophy, Aneeth Arora’s Kutch-inspired designs on Chanderi and Maheshwari dresses, Suket Dhir’s androgynous silhouettes in fine mulmul, wool and bamboo or Anita Dongre’s Grassroot, to name a few, the synergy between fashion savants and weavers and artisans is empowering the nation. As individuality takes the lead, a new consumer has emerged, one who’s willing to blur the lines between ancient and au courant by passionately proclaiming that we are what we wear. This entry was posted in Brands and tagged 11.11, Abraham and Thakore, ahimsa silk, Amit Aggarwal, Anavila, Anavila Misra, Aneeth Arora, Anita Dongre, bamboo fibre, bandhani, Benaras, block printing, Bodice, Denim, Eka, eri, Grassroot, handloom, India, khadi denim, Madhu Jain, Mia Morikawa, P.E.L.L.A., Priyanka Ella Lorena Lama, Rajesh Pratap Singh, Rina Singh, Rohit Bal, Ruchika Sachdeva, seed-to-stitch, Shani Himanshu.